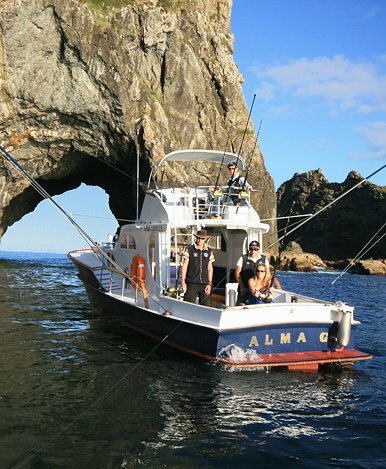 The Alma G Luxury Charter Boat is one of the world's longest-running sportfishing vessels. She has been putting anglers on the fish of a lifetime for almost a century. Now headed by skilled skipper Darryl, this iconic vessel is your ticket to awesome hookups in the deep waters of the Bay of Islands.